I met this morena hopefull for the Mutya ng Pilipinas NIR screening about 2 months ago at the Sidlakan Village Conference Hall in Dumaguete, Negros Oriental. As what screening judges would normally ask..” tell us something about your family” She told us her life story that,. She is a product of a broken family, she is the bread winner of her family, she started joining local beauty pageants to earn, and surprisingly , she is helping her mom farm and sell kangkong.. I thought it was a joke.. One of the judges said “Goodness! How can Kangkong Farmers produce a statuesque morena beauty queen wannabe. 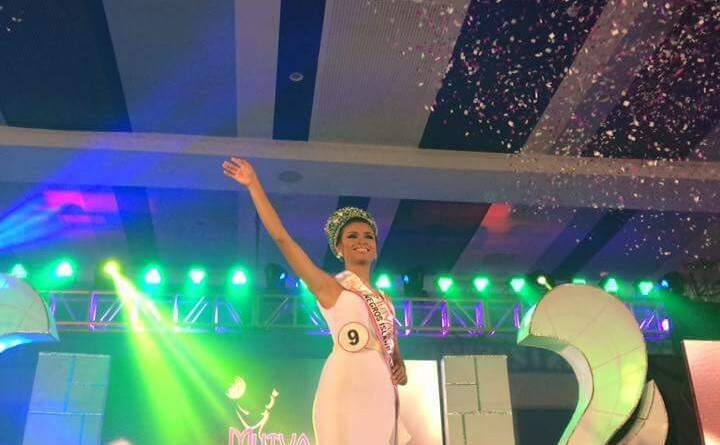 Renelyn came out strong and has a natural way of doing what she does best on stage… she was a runaway winner and long before we knew it, after 2 months of preliminaries and pageant, we crowned the first Mutya of the Inaugural Search of Negros Island Region. After 2 weeks, I found myself mentoring and training this Mutya. I am a witness how Renelyn evolved. She had a lot of firsts in Mutya National Pageant.. she was soo natural asking me questions like ” Direk why do we need to cross over Edsa using overpass, can’t we just find a pedestrian to cross ?” Or one time i strolled with her at Greenbelt 4, and she was soo surprized why bags costs hundreds of thousands, thus saying a 100K bag would make a fine home in our town. “Nakurot and puso ko”. The day before the Mutya Press Conference, I received a call,Renelyn was crying out loud -she wants to go home and backout, he grandfather died.. I did not know what to do and tell her.. I admire the Mutya staff and chaperones…. they did what they had to do in comforting her. The next day she went viral on the social media and Umagang Kay Ganda featured her story… that she came from Ayungon and she farm and sell kangkong and the pigs eat it…. funny but it is the truth. Media thought it was our way to get noticed, but it was a candid remark.. she was given a 2-day pass to go home to negros to attend her granpas wake. Renalyn with her fellow Mutya candidates during their glamshot. She is now in Ayungon, Negros Oriental paying her last respects to her grandpa and earlier this afternoon she visited again the Kangkong plantation and did farm.. I am waiting for Renelyn to come home tomorrrow to face her road towards the Mutya title. I loved her story and I love this kangkong girl.. she has touched my life and make me believe… that dreams do come true.. and poverty is never inherited.. with ones constancy of purpose.. one can achieve greatness.. I am walking that path with her.. and I am sharing this story to inspire more people… to just believe… what she has gone through makes her a winner.